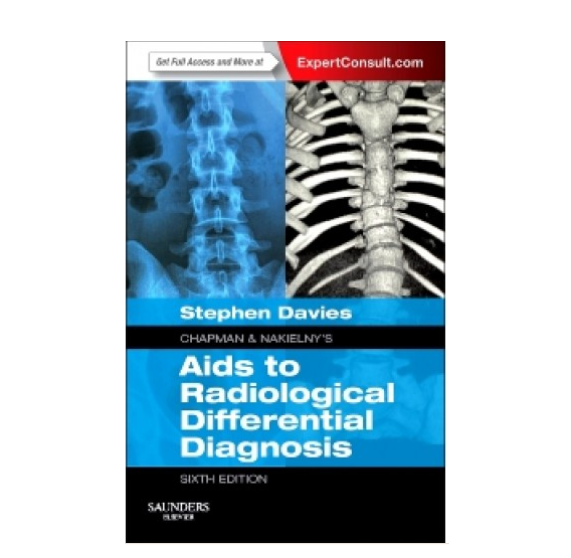 "Chapman and Nakielny’s Aids to Radiological Differential Diagnosis has become a classic resource for trainees and practitioners worldwide, to hone their knowledge of radiological differential diagnosis for the most commonly encountered conditions throughout the body. It is an invaluable quick-reference companion in everyday practice, as well as an essential study tool when preparing for the FRCR or similar examinations. This new edition is thoroughly revised and updated in line with latest clinical practice, knowledge and guidelines. The first section presents lists of differential diagnoses, supplemented by notes on useful facts and discriminating factors. These assist with the systematic assessment of radiographs and images from other modalities. The second section offers detailed summaries of the characteristic radiological appearance of a wide range of clinical conditions. New to this edition is complementary access to the complete, fully searchable eBook, making it even more practical to use than ever before, anytime, anywhere!"